Today, April 2nd, 2019, is World Autism Awareness Day and in celebration of all our Autism Spectrum Disorder families, I thought we might just take a few moments to have a little chat. As most of you would remember, I have two children, both with ASD and traveling with them can be extremely hard. That said, I also believe it is one of the most rewarding and educational experiences there is for ASD families, or any family for that matter. Because of this, I always try to encourage the practice, lending my experiences and tricks to anyone trying to make a dream vacation come true with special needs children. From time to time I see questions arise online from people seeking help to plan their Disney Parks vacations with special needs family members. It always takes me a little bit longer before I find the right words to respond to those sorts of questions. You see, even though I have two special needs children myself, the struggles we face are an everyday occurrence. They aren’t things that we have the opportunity to stress over or question. It’s just our family life on a day-to-day basis. Finding the right words to articulate the difficulties we experience and how we manage to do what we do can be hard. It’s easy to get on a bit of a roll when it comes to dealing with your routine at home; we don’t have time to stop and analyze what we are doing. But as any person with, or parent of someone with, autism can tell you, leaving your comfort zone of familiarity and routine can feel earth-shattering for your child and yourself. All of your regulation methods, therapists, safe zones and self-soothing practices are in place at home, and as soon as you leave that behind, it can be terrifying to wonder what will come up next and how will you manage to deal with it. I’m here to tell you that it will be ok. One way or another, you will get through it, and there is a definite sense of resilience and accomplishment that can be achieved on the other side. I have taken trips with my children where most days were a challenge, constant anxiety and a longing for that secure, repetitive routine from home can make for exhausting days. Even our annual trip to Ohau, Hawai’i where we stay in the same hotel, in the same room, on the same floor every trip still proves to be confronting for my daughter. I won’t lie to you; it is hard work. But with the right precautions and appropriate expectations, you can make it work. Disney is a wonderful place to start. Despite being crowded, loud and overstimulating, Disney has a certain predictability that allows your family to prep children a long way in advance. 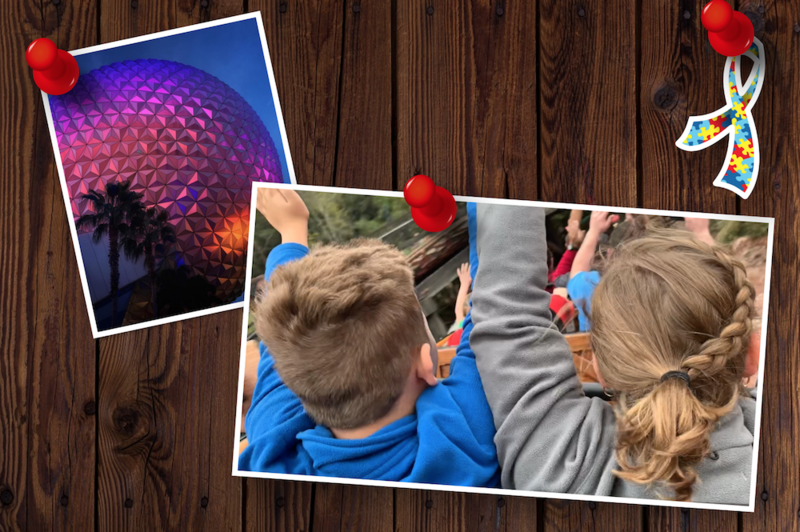 YouTube videos of questionable rides, fireworks or any other aspect of the parks that might be overwhelming are a great way to help your family understand what they are in for. Online communities like those on the DISboards are there to help you plan, research and find solutions to any problem you encounter. Sensory needs can be kept in check by having a backup plan in place and knowing where you can go for some downtime. If you have never been before, start by planning shorter park days or longer ones with some time-out time expected in the middle. In my experience, my children now enjoy that stimulation push. Now comfortable and trusting in the Disney environment, they are open to using that time to experiment with different sensations and feelings. Even when something we try doesn’t end up being successful, they are beginning to learn more about who they are, able to understand themselves and rationalize what they do and don’t enjoy, and why. Watching them discover their limitations in a safe place is almost as enjoyable as watching them discover what they love. It’s all a learning process, and anytime your child can learn more about who they are without feeling scared or defeated, it’s a win. 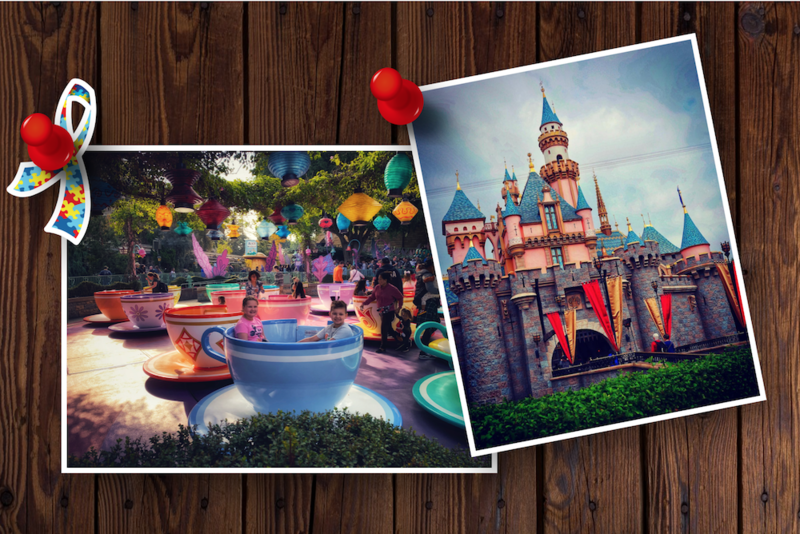 If you are desperate to get your hands on just about any amount of help before your theme park vacation, have a read through some of my other articles that focus on autism and special needs. I include these here for you not because they are a riveting, must-read of knowledge but because sometimes it helps just to know you aren’t alone. I have no fancy qualifications, just a well-traveled, fellow parent winging it just like everyone else. If you are a family that wants to start traveling with ASD or special needs, ask your questions below. Do not feel afraid or worried when someone in this community could potentially help you. We have all had those moments where the fear wells up, and you are sure you will never be able to swallow again; anxiety and worry rising to a level where it all feels too hard to make it work. Take a breath; we are all here to help each other. In the process of talking about it, you might find it is actually you who ends up helping someone else. 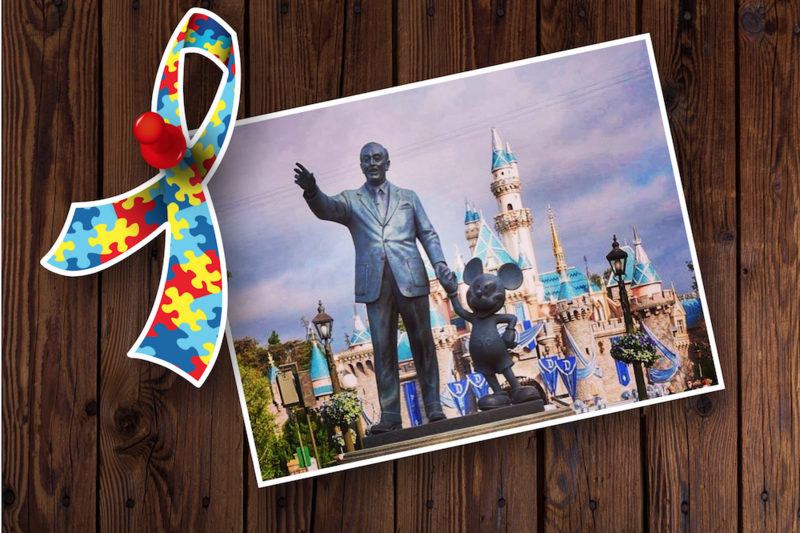 Share your questions, advice or best Disney tips below and let’s help each other achieve our best Disney experiences this World Autism Day.